represents a Cohen–Daubechies–Feauveau wavelet of type "9/7". represents a Cohen–Daubechies–Feauveau wavelet of type "type". 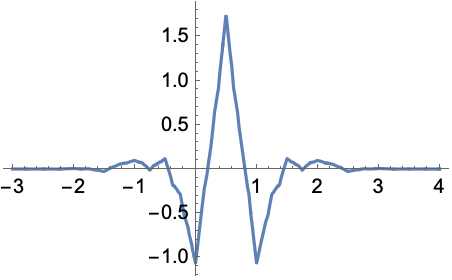 CDFWavelet defines a set of biorthogonal wavelets. 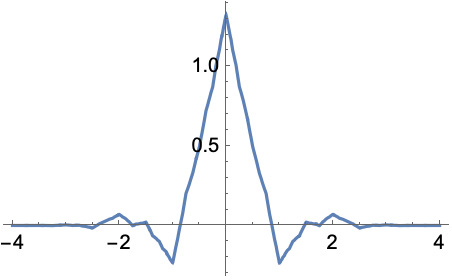 CDFWavelet can be used with such functions as DiscreteWaveletTransform, WaveletPhi, etc.